Money is often considered at the root of issues impacting the nation's education challenges but for director, Garland McLaurin, more money alone won't solve the issue. The follow-up to the Peabody award winning documentary 180 Days: A Year Inside An American School, arrives at a time when America's wealth gap between the nation's top earners and those at the bottom of the economic ladder is increasingly evident within the national public school system. A 2014 Pew Research Center study found that the average net worth of upper-income families ($639,400) is nearly 70 times that of those at the lowest rung. To compound those numbers is a recent Southern Education Foundation report noting that, for the first time in 50 years, most U.S. public school students are from the aforementioned low-income households. In the midst of these doomsday scenario numbers that portend failure, Hartsville has achieved a 92 percent graduation rate. So exactly what are they doing right? For one thing they aren't just relying on increased funding to solve their issues. "Money always can help but beyond money you really need a vision for where you want to take the school district," said McLaurin. 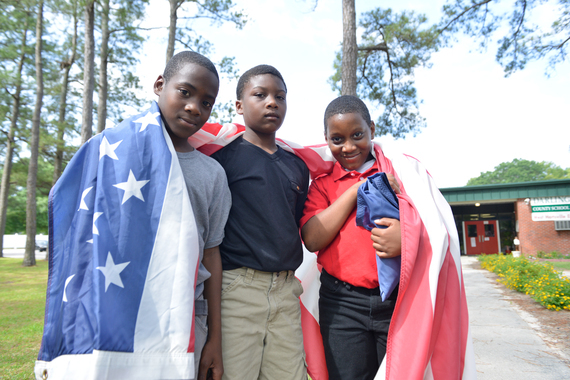 "Hartsville is refreshing because the district had a plan that was put in place by a strong administration that cared about the kids more than the dollars." The film follows a family struggling at the poverty line, a promising student with behavioral issues, dedicated administrators, and non-profit organizations and philanthropists committed to giving resources that make for a holistic approach to enriching the education of Hartsville's youth. "The schools have a realistic approach. In one point of the film the kids didn't get a lot of sleep so instead of being forced to stay up they were given a nap," recalled McLaurin. "The school looks at success by growth as opposed to just testing. It's easy to look at a test but where are the indicators for a student's growth across the school year? And with disruptive kids they monitor their behavior to get at the root level of what is causing that, which are usually issues at home. It's about not looking at a kid like they're just another number." You've probably written on paper, crumbled it up, and even cut it. But have you ever used it to create a giant installation of puppets? Such was the showpiece greeting attendees at the latest fair to take part in Armory Arts Week, Art on Paper. Unlike most other fairs during the busy New York City art season, Art on Paper sticks to a unifying theme of works using and inspired by, you guessed it--paper. At Pier 36 the works were imaginative in their ability to repurpose paper in a digital age. From Mia Pearlman's cut paper installation to Beata Drozd's intricate collages made from fashion magazines to Nathaniel Donnett's thought-provoking piece on colorism titled Barbara Jordan Beauty School. 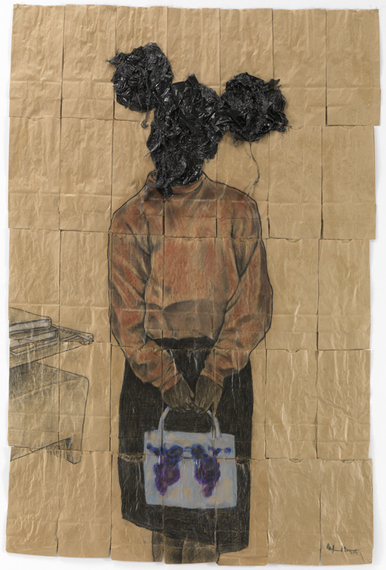 In the latter work, Donnett uses paper bags to reference the "brown paper bag test," an example of internalized racism, once used as a means of discrimination within the African-American community to determine the beauty and social mobility of individuals. Those who were lighter than a paper bag "passed" and those who were darker were ostracized. Donnett's work, part of the Jenkins Johnson Gallery booth, highlighted the nuances paper has within the African-American community as not only an everyday material, but also a marker of racial challenges in a fair with very few other artistic statements on race. "We use paper not just to identify our color but also to show our culture," said fairgoer and photographer, Renee Best. "It is good to see artists of color questioning racism and colorism in the art world and causing us to confront that in their work." Whether or not that message got across to most of the fair's 18,000 visitors during its run from March 5 - 8 is unknown. But one thing clear is that should Art on Paper return next year, Armory Arts Week will have a new formidable player in its circle.